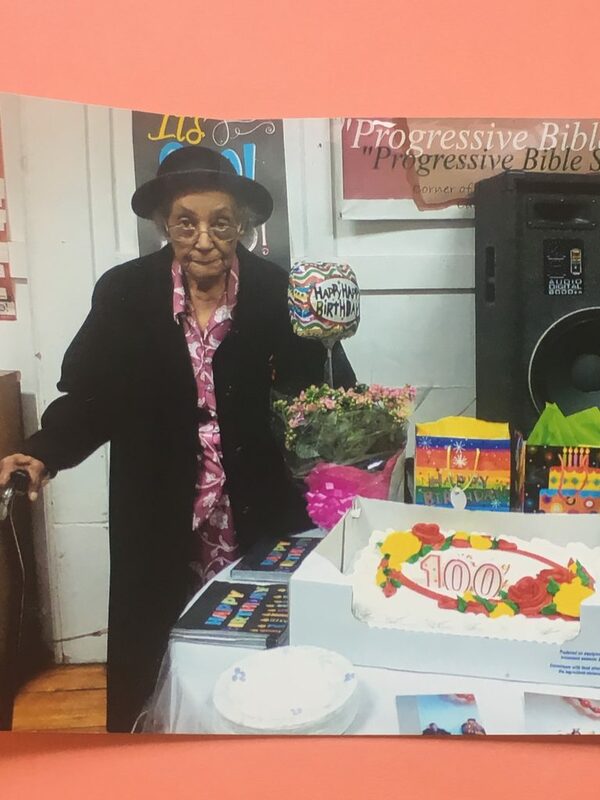 EAST ORANGE – The members of Park Avenue St. John’s UMC in East Orange joyously celebrated the 100th birthday of a cherished member, Ms. Inez Rosalie Alick Elliott. Ms Elliott who is known as “Rose” by family and friends shared her secret to living a long life. She relayed that she lives healthy through her faith in God, staying calm, and laughing as often as she can. It has been said that a part of her charm is her contagious laughter that makes you feel like joining in. Rose was recently recognized by Essex County Executive, Joseph N. DiVincenzo Jr. and the Essex County Division of Senior Services. She was presented with the “Essex County Legends Award” for her contribution in helping to shape today’s community. With 100 years of life, Park Avenue St. Johns UMC salutes Rose for setting an example of grace and service. She is a positive role model for younger generations and works tirelessly to assist fellow seniors, thus, improving the quality of many lives.